I’m often told that the number of women sleeping rough is underestimated because women feel especially vulnerable on the street and hide themselves away in places where they will be difficult to find. The certainty with which this is stated is in stark contrast to the hesitancy that follows when you ask for some evidence of where these women rough sleepers might be. Despite outreach teams scouring not only the familiar rough sleeping areas but also housing estates, woodland and even riding the night buses to find rough sleepers, the number of women sleeping rough in London as a proportion of the overall homeless population stands at just 12%. Far from facing a problem of being hidden, I am concerned that women rough sleepers have a disadvantage that arises from their very visibility and prominence. There has always been a danger that we romanticise rough sleeping, viewing it as a form of rugged individualism, a lifestyle choice adopted by impressively eccentric characters making a stand to live outside ‘the system’. I fear that women on the streets are particularly prone to this complacent stereotyping. 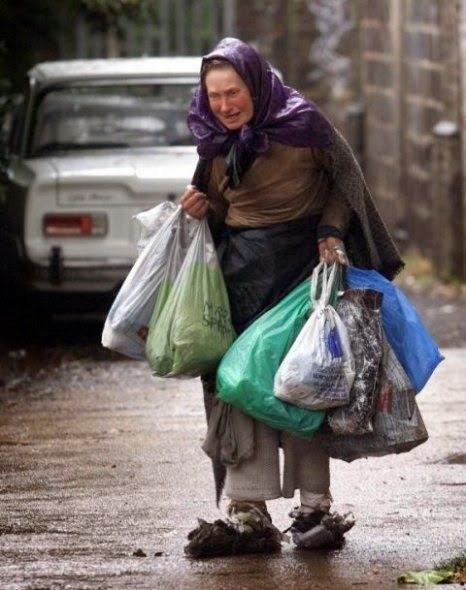 The lone woman rough sleeper, often pejoratively referred to as a ‘bag lady’ remains an iconic figure. Didn’t Alan Bennett even write a poignantly amusing play about one such homeless woman? They are a national treasure! This cloying sentimentality bedevils our approach to women rough sleepers, so we are particularly prone to find plenty of reasons why we must preserve their right to stay – and die – on our streets. Which leads me to the disturbing case of Anne Naysmith. Anne is a 75-year old woman who has been sleeping rough for a number of years, first in an abandoned car and more recently on a patch of land beside a railway station in west London. She is a fascinating character, not least because of her background as a former concert pianist and her quintessential Englishness. Recently, Transport for London unwittingly removed some shrubs and plants that had been cultivated by Anne. Outrage followed as this was perceived as a bungled and insensitive violation of her space by the authorities. The BBC News footage that followed is illuminating. It shows Anne shuffling around the car park area where she sleeps rough, her feet swathed in strips of filthy material. Later, the camera lingers on her grubbing in a plastic bag for food. This is a woman in poor mental and physical health, shockingly destitute and in desperate need of accommodation and support. Yet the news item is concerned about only one aspect of Anne’s situation, and that is the alleged desecration of her area of land by the powers that be. No questions are raised about why it should be that a 75-year old woman is sleeping rough on a grubby piece of waste ground and what is being done to help her to a place of safety. It seems there is a fundamental difference between how we view a woman housed and a woman living rough on the streets. A concerned neighbour living next door to a housed Anne, seeing her coming and going dressed in rags, rummaging for food in bins and showing clear signs of mental distress would probably contact the council and expect actions to alleviate her suffering and improve her living situation. Yet, because she is on the street a different reality intercedes, one which apparently inhibits the natural reaction of outrage and shock that an elderly woman is living in destitution and replaces it with something else – a confused notion that this is about a choice to live this way and to challenge this right is somehow a disrespectful intrusion. The debate about the extent to which personal autonomy should be overridden where individuals place themselves in situations of extreme risk is not new. When our outreach team found Mary sleeping rough we initially did everything we could to persuade her to move voluntarily from the street. But she persisted to resist our offers of accommodation and with her mental and physical health deteriorating and winter looming we took the painful step, supported by a doctor who accompanied us onto the street to meet her on a number of occasions, of having Mary sectioned under the Mental Health Act and taken off the streets and into hospital. After initially being distressed she gradually settled and recovered her health, later moving to a registered care home from where she has reconnected with her daughter. Anne Naysmith’s predicament is being monitored closely by the outreach workers and other professionals who remain enormously concerned by her plight. Like Mary, she has rejected many offers of accommodation. There will be those who will counsel that she is making a lifestyle choice based on a largely rational consideration of her predicament and that by persisting to urge her to move inside we are misguidedly attempting to foist our own set of values on her. To this I can only respond that on one bleak occasion at the funeral of a rough sleeper who died on the street, I attempted to explain the doctrine of the lifestyle choice to his children. They listened in dignified silence until my dribbling explanation petered out, but I could guess what they were thinking and it was, in essence, if it had been your father you were meeting every night in that shop doorway, a greater humanity would have trumped your belief in a lifestyle choice. And I knew that they were right. Did you intentionally lift the bit about Alan Bennett word-for-word from the previous post? In any event, thank you for the important insights borne of such extensive experience. Yes I did I'm afraid. Using old material! Occasionally I take bits from blogs that have not been published more widely and insert into my Inside Housing pieces. I try to make the themes slightly different though. The blogs tend to be much more personal.